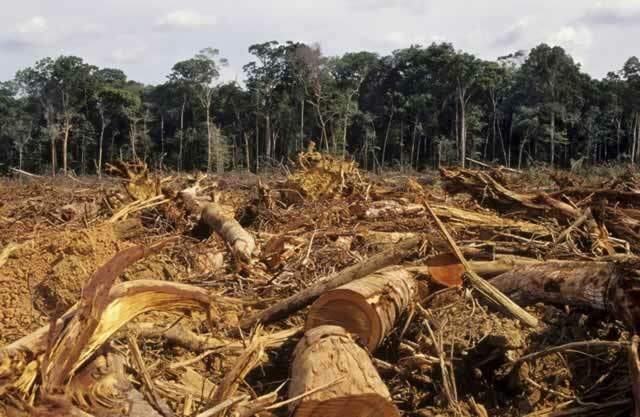 A PROJECT in Mashonaland West that aims to avoid deforestation has since 2014 sold 1,5 million carbon credits to global buyers for over $2 million. The funds have been directed towards programmes that help communities cope with climate change, while neutralising the emission of dangerous climate-changing gases. Operational since 2011, the Kariba REDD+ project, Zimbabwe’s biggest privately-funded project covering 750 000 hectares across the four rural district councils of Mbire, Hurungwe, Nyaminyami and Binga, is changing lives through conservation farming, bee-keeping and wildlife conservation. Its key objective is to preserve Zimbabwe’s natural forests, an important absorber of potent carbon gases. This is crucial to fighting climate change and global warming. And the UN has recognised this, leading to the formation of a programme called REDD+ in 2008, short for reducing emissions from deforestation and forest degradation. Under REDD+, which has since assumed importance in the new global climate treaty agreed at Paris last December, international buyers of what are known as carbon credits, units or offsets pay countries or private organisations a kind of compensation for avoiding deforestation in tropical forests — clearly indicating that forests are worth more standing, than fallen. For keeping forests standing, Kariba REDD+ has generated up to 5 million credits since operations started five years ago, Charles Ndondo, chief executive of Carbon Green Africa (CGA), the project implementers, told The Herald Business last week. But CGA is still holding 3,5 million of unsold credits due to poor global prices, Ndondo said. Of the 1,5 million credits sold since 2014, some were bought for a song — as low as US50c per each million tonnes of carbon dioxide equivalent (MtCO2e). “Our first sales were at very low prices so it was a bit tricky for us,” said Mr Ndondo by telephone, Wednesday. With offsets in over-supply, prices have tumbled to as low as US10c MtCO2e, on the average, from a peak of $7 MtCO2e in 2013, according to the State of Voluntary Carbon Markets 2016 report by Ecosystem Marketplace, a US firm that tracks carbon trading. Each credit is equivalent to a tonne of carbon dioxide, and is later sold mostly to governments, individuals and private sector organisations in advanced economies keen to reduce their carbon footprint. The trade is built on the understanding that developed country governments or corporations that cannot lower greenhouse gases emissions in their home economies can do so by paying someone else overseas to do it for them — and hold that as proof of own contribution to abating climate change. Communities have effectively earned $1,6 million from the total offsets sold to date, with the remainder or 20 percent of the revenues going towards operations at Carbon Green Africa, said Mr Ndondo. The funds, which are distributed in proportion to each rural council’s shareholding in Kariba REDD+, have helped repair over 200 boreholes across the four districts, with an average 350 people now having access to clean drinking water per borehole. CGA has also offered support in conservation farming — a natural way of farming that avoids use of chemicals — through training and provision of inputs to farmers. This includes training of bee keepers, supply of hives and securing markets for the produce. Nutritional gardens have been set up in all the project areas. “Those farmers we have trained in conservation farming have managed to harvest enough food in the current drought,” Mr Ndondo said, adding that bee-keepers were earning an average $400 per harvest, which has helped boost incomes. In Binga, a 20 percent equity holder in Kariba REDD+, the change in livelihoods has been noticeable, says Elmon Mudenda, a councillor for Ward 4, home to 1 800 households or about 4 000 villagers. He said the Binga rural council had received up to $118 000 from CGA since 2013, which has gone into various projects including training of villagers in bee-keeping and conservation farming. However, this amount falls short of the $320 000 that Binga should have earned from the $1,6 million released to councils by CGA relative to each council’s shareholding, calculations by The Herald Business show. Mbire holds 34 percent, Nyaminyami 29 percent and Hurungwe 17 percent. All the rural councils have entered into 30-year agreements with CGA. The contracts are reviewed every 5 years, but were signed without Government’s expert assistance, exposing the councils to manipulation and greed synonymous with the private sector. In Mudenda’s Ward 4, Carbon Green Africa has funded the establishment of a two and half hectare garden for farming fresh produce including tomatoes and onions, said the councillor. A 2 500 litre irrigation tank has been installed, as other piping equipment goes into the ground. “We are excited that the project is beginning to bring real change in the community, especially the aspect of conservation farming,” he said, adding that a fence wire needed to enclose the garden to protect produce from wild animals remained outstanding. There is a real risk that Carbon Green Africa may struggle to sell the 3,5 million credits it currently holds — and those it will earn in the medium-term — at favourable prices. Credits have been in oversupply, forcing prices to decline. Experts expect more than 270 million offsets to remain unsold worldwide until 2018. In 2015, prices were highly volatile, with some quoted as low as US10c per tonne, and others as high as $44 per tonne, mainly to supply-demand dynamics. Projects in water filtration, clean water treatment and those based in the oceans were hit hardest by the volatility, says the Ecosystem Marketplace report. The report also showed that investors were losing appetite for forest-based credits such as those produced under the Kariba project, opting instead for wind offsets. Last year they bought 12,7 MtCO2e of wind credits compared to 11 MtCO2e from REDD+. The international price dynamics could affect future revenues for the communities in Mashonaland West dependent on earnings from credits sales for the smooth operation of Kariba REDD+’s non-carbon benefits. Mr Ndondo said CGA was in for the long-haul, however. “We have 30-year contracts and we are not about to quit due to the temporary changes in prices,” he stressed. In wildlife, herds of buffalo and about 100 elephant have been seen returning to some areas as the habitat improves while poaching levels have receded as villagers earn more from non-criminal practices in farming. Over 30 years, the Kariba REDD+ is forecast to remove the equivalent of 52 million tonnes in carbon dioxide emissions, earning billions of dollars in revenue from the sale of credits. Worldwide, the carbon market has become a lucrative business, with a total $4,6 billion worth of credits traded since 2005. The most active markets operate in the US, China and in the European Union where offsets from projects in renewable energy, forestry and land use, household devices (like clean cook-stoves), waste management and others are traded.